Did you know that programmatic advertising now accounts for more than 80% of the digital advertising spends in the U.S.? A recent survey by eMarketer says so. Note that programmatic is only a part of the larger ad-tech ecosystem. Ad-tech consists of a wide range of other high-tech solutions such as back-end servers, AI and machine learning, data collection and processing technologies like Big Data, different analytics systems, and marketing platforms. The ad-tech industry is huge and it is burgeoning at a lightning speed. It is all set to leave behind traditional media buying. In 2016, digital advertising spends had surpassed television ad spends. It is a clear indication that ad-tech is slowly overpowering traditional media and emerging as a champion in the battle. 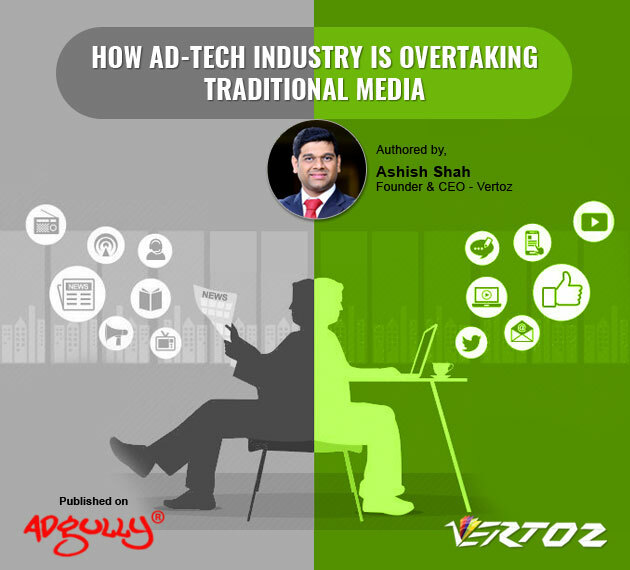 Vertoz’s Founder and CEO, Ashish Shah, in his recent interaction with AdGully, discussed these current industry trends that will define the future industry dynamics. He says that investing in data always pays off well. It helps the decision makers to make well-informed decisions. Ad-tech is all about data and hence, adds great value to the marketing strategies of the organizations across the globe. As a result, ad-tech budgets are soaring. Gartner says that nearly 67% of the Chief Marketing Officers (CMOs) across the globe plan to increase their ad-tech budgets in 2018. Moreover, the current trends are quite conducive to the further growth of the ad-tech industry. Portable devices like smartphones, phablets, tablets, and laptops are the major players in the ad-tech industry. And, they are experiencing tremendous growth. The proliferation of mobile devices into the rural and semi-rural areas is reflecting positively in ad-tech.